What comes to your mind when you read the title? First thing comes to your mind might be bad breath and fart a lot if eat too much onion. Have you ever thought of using bawang as shampoo? 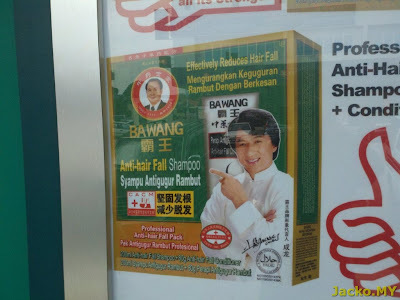 Or even thought of Jackie Chan with bawang? 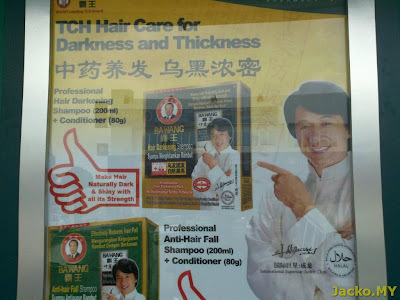 Does Jackie Chan have bad breath or fart a lot? I wish I am close to him that I would know his habit. Or is he a bully? I do not know but guess not since he is (or was) also the ambassador for HK Police Force. Or maybe he is getting bald? ?